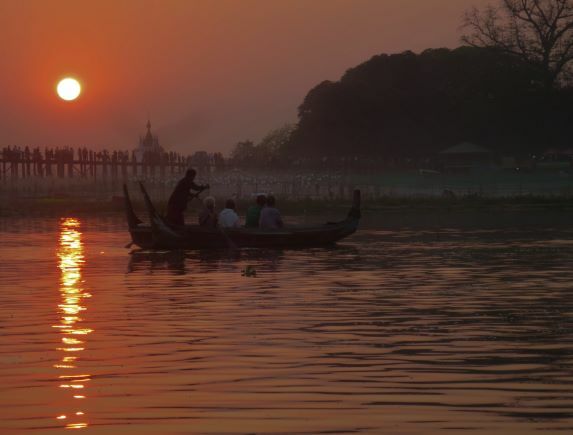 MANDALAY, Myanmar – Rudyard Kipling brought worldwide attention to Myanmar – then part of colonial British India — in a famed 1890 poem called “Mandalay.” Kipling extolled the beauty of this mysterious, off-the-beaten path land and its people. 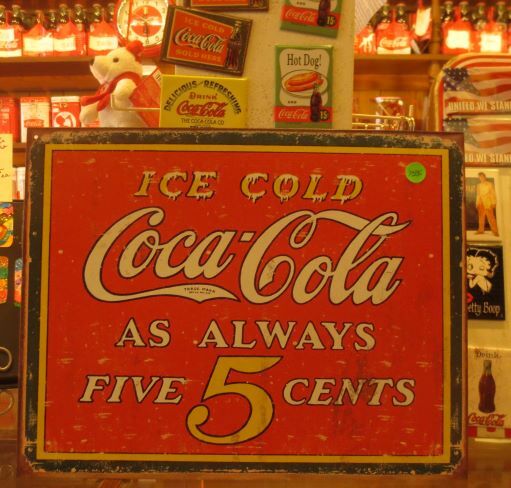 The poem was further engrained in Western pop culture when it was adapted into a song – “The Road to Mandalay” — recorded by Frank Sinatra in 1958. Much of this country of 53 million people in Southeast Asia has changed little since Kipling first laid eyes on the place he immortalized 130 years ago. Once you leave the major cities, rural Myanmar – also known as Burma – is like taking a step back into Kipling’s 19th-century poem. Farmers still work the rice paddies by hand, many villages don’t have electricity, horses and oxen transport people on unpaved roads past banana trees, women wash their clothes in the river, and the Burmese people cover their faces with a distinctive makeup called thanaka – made from ground bark – a tradition that dates back more than 2,000 years. I recently had a chance to explore rural Myanmar, with all the creature-comforts of home, on a 10-day cruise down the Irrawaddy River from Mandalay – the country’s second-largest city — to Pyay on the Scenic Aura, a luxurious 44-passenger boat that’s been sailing the Irrawaddy since 2016. At that time, democratic reforms initiated by a military government opened the door to a flood of tourists to a country that had essentially been closed to the rest of the world for six decades. Visitors started pouring into Myanmar for a chance to see a region of Southeast Asia that offered thousands of spectacular and unspoiled Buddhist pagodas and temples, and an authentic look into monastic life, which so permeates this deeply spiritual country. And when the tourists came, so did the cruise lines. In 2016, there were some 10 international lines offering sailings on the Irrawaddy, which flows north to south through the heart of Myanmar from its source high in the Himalayas down to the Indian Ocean. The cruises were running at close to full capacity. But Myanmar’s tourist boom didn’t last long. Civil unrest involving a Muslim-minority group, the Rohingya, erupted in an isolated region of the country called Rakhine. 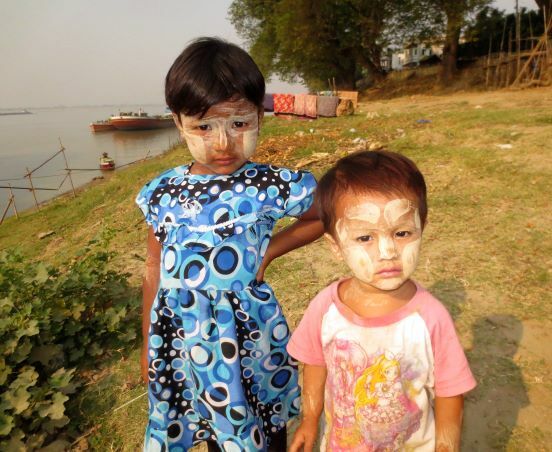 More than 500,000 Rohingya have fled to neighboring Bangladesh. Words like “ethnic cleansing” and even “genocide” have been used to describe alleged atrocities committed by Myanmar’s military. In short, Myanmar has become a political pariah and many tourists are spooked. Most of the leading cruise lines, including Viking and Avalon, have recently pulled out of the country. 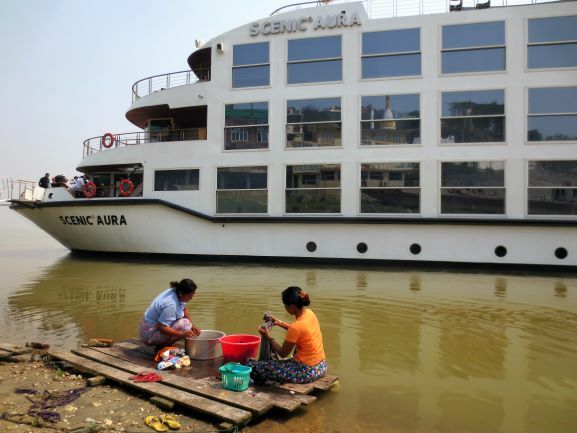 Now, Scenic is one of just three major cruise lines that still remains on the Irrawaddy and capacity on its 19 sailings this year is hovering at only around 60 percent. (Due to water levels on the river and the climate, the sailing season in Myanmar only lasts from August-April). Still, the Australian-based cruise line with a growing presence in the U.S. market remains committed to Myanmar. Tourists are not allowed anywhere near the conflict zone – located in the far western part of the country — and I found Myanmar to be extremely safe. The U.S. State Department recently issued a level 2 travel advisory for Myanmar – “exercise increased caution.” But there are numerous other countries that fall into the same category, including Denmark, France and the United Kingdom. Regarding the ethical issues about visiting a country whose government has been accused of committing atrocities against civilians, that’s a decision every traveler must make on their own. As for the Burmese people, I found them to be some of the most welcoming you’ll encounter in Asia – always quick to greet visitors with a wave and a smile. Street crime is virtually non-existent. 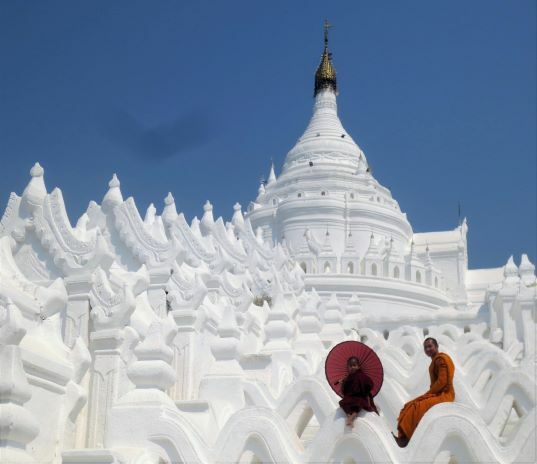 All told, we sailed 334 miles south on the Irrawaddy between Mandalay and Pyay, with a brief 6-mile trek north of Mandalay to Mingun, where we visited the stunning all-white, early 19th-century Hsinbyume Pagoda. In Sagaing, we spent the morning at a monastic-supported school and donated funds provided by Scenic to the principal. Afterward, we walked to a nunnery where we had the honor to donate lunch to 72 nuns, placing tea, cookies and fruit in their bags while they marched in a procession and chanted prayers. Some of the Aura’s passengers arose at 4:30 a.m. to give alms to the local monks. With so many impoverished villages on the route, Scenic is making a concerted effort to improve conditions in the places it visits. Aside from donating money and supplies to numerous schools and monasteries, the cruise line built a sanitation block in a village we visited called Yandabo, famous for its handmade pottery. Perhaps the highlight of the trip was a two-day stop in Bagan, one of the most remarkable archaeological sites in the world that few people have heard of. 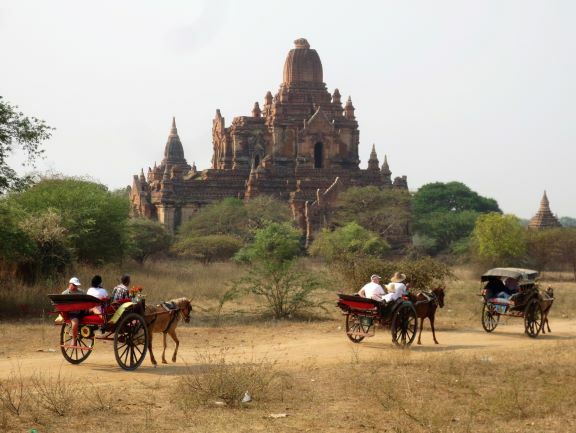 Bagan features more than 2,200 Buddhist shrines in a 26-square-mile area, some dating back 1,000 years. While Angkor Wat in nearby Cambodia gets far more visitors, Bagan is just as spectacular. It offers the largest and densest concentration of Buddhist temples, pagodas and ruins in the world. The sprawling site is best seen by hot-air balloon or while riding in a horse cart. Cruising the Irrawaddy is an ideal way to experience the hidden treasures of Myanmar, as the tourism infrastructure is substandard in most parts of the country. Electricity outages are common and hygiene at many restaurants is not up to Western standards. See video shot by the author of a traditional Burmese dance performed by a dance troupe from Mandalay, Myanmar on the top deck of the Scenic Aura on the Irrawaddy River. Dan Fellner is a member of the speakers' bureau (AZ Speaks) of the Arizona Humanities and is available to give highly visual and informative presentations on a number of travel-related topics, including travel writing, Eastern Europe, Asia and Jewish life overseas. 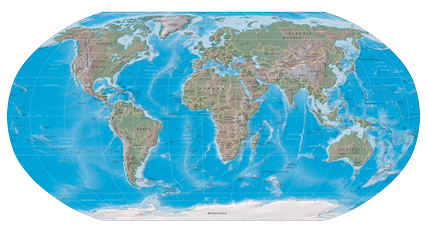 To inquire about booking the author for a speaking engagement, for travel-writing editing/consultation, to purchase the rights to a photo, or to place a customized ad on Global-Travel-Info, contact the author at dhfellner(at)hotmail.com or use the contact form on the left.